It’s hard to stop a butcher banging on about sausages and George Emond of Halliwells is no exception. He’s helping the Scottish Craft Butchers promote Scottish Sausage Week which gets under way on Monday. 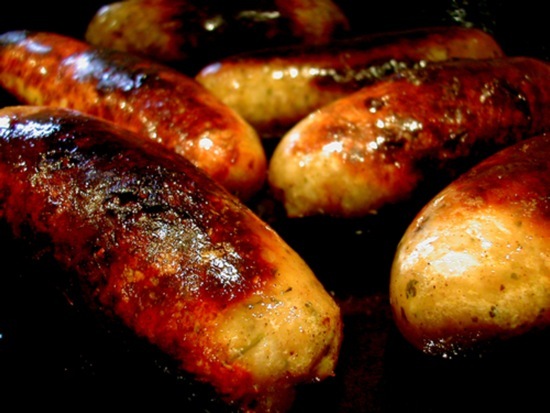 Butchers across the country have helped produce a Sausage for Scotland which contains prime Scotch beef and the mild, creamy Strathalden Blue Cheese from Tain in Ross-shire. The new Sausage for Scotland is known as The Blue Coo. Full story from Selkirk Weekend Advertiser.